The current owner of the Sussex Ox, Stephen Carr, is a Sussex farmer who was born in the hamlet of Winton Street, walking distance from the pub. Over the last 70 years. 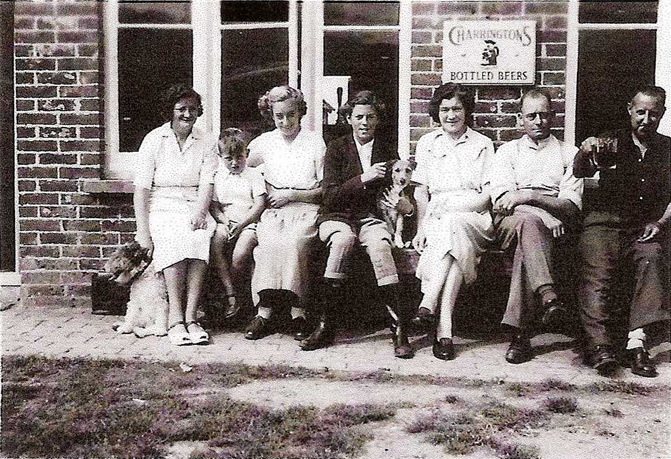 four generations of his family have lived and worked at the Sussex Ox – starting with Stephen’s grandfather and grandmother, Fred and Phyliss Aspin, along with Stephen’s mother, Aline Aspin. And now Stephen and his wife, Fizz, own the pub and run it alongside their nephew Jonny Bunt (the current manager) and Stephen’s own children. 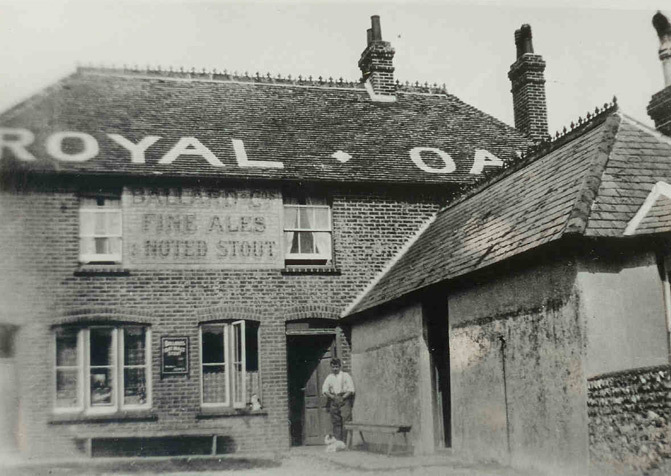 The family long relationship with the pub started in 1942, when Fred Aspin took on the licence of what was then known as the Royal Oak . It was then a Beer House, serving just beer to the local farming community. A former jump jockey, Fred had started his career as a stable lad at the age of 14 at the famous Manton House racing yard on the Wiltshire Downs. In the late 1920s he stopped racing and took a job as the broodmare manger at Jevington Place Stud, now also owned by Stephen. Stephen’s mother, Aline, was born in Jevington. She moved with her parents to the Royal Oak and met and married Stephen’s father, local farmer and landowner Harry (Jim) Carr, in 1953. She went to live with Jim at Winton Street where Stephen and his sister Josephine, were born. Fred and Phyllis ran the pub until the early 1970s, when Fred retired to live in the neighbouring village of Folkington. It was then sold by the brewery and had several owners before passing back into the ownership of the Carr family in 2014. 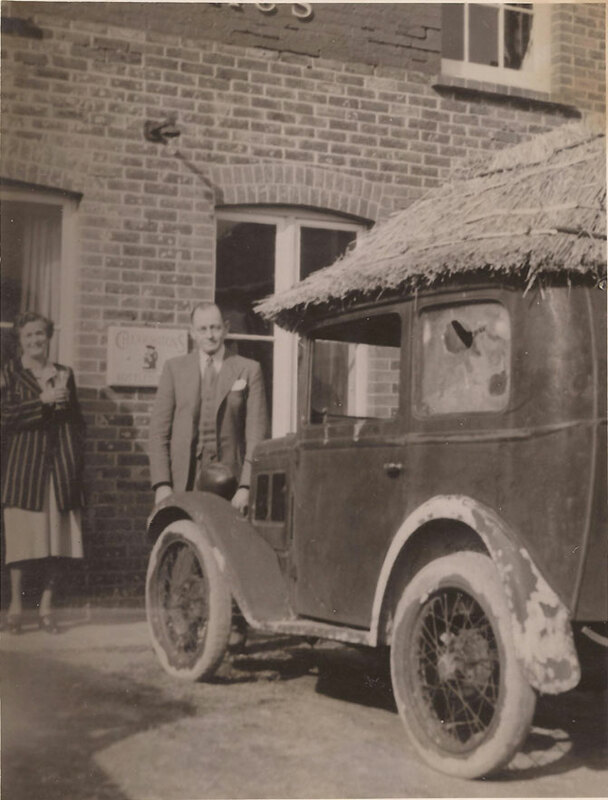 A photo taken by Jeff Tullberg’s father in the late 40s, of the current owner Stephen Carr’s grandparents, Fred & Phyllis Aspin, with Fred’s thatched Austin Seven which he used for an informal transport service from Milton Street to Alfriston after the Second World War. From The Star Weekly, Toronto, September 23rd 1950. The car of the landlord of The Royal Oak was in need of a new roof and a local thatcher provided it! 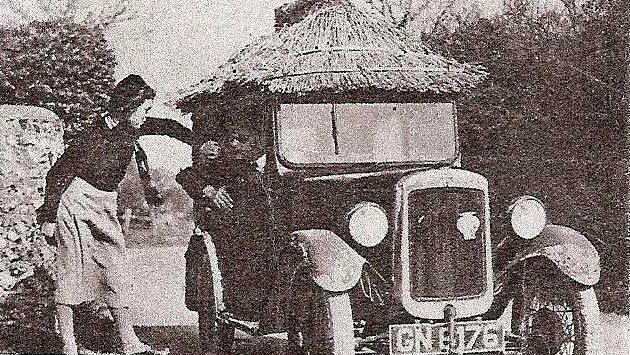 Stephen Car’s mother, Aline is leaning on the car talking to her father, Fred Aspin. 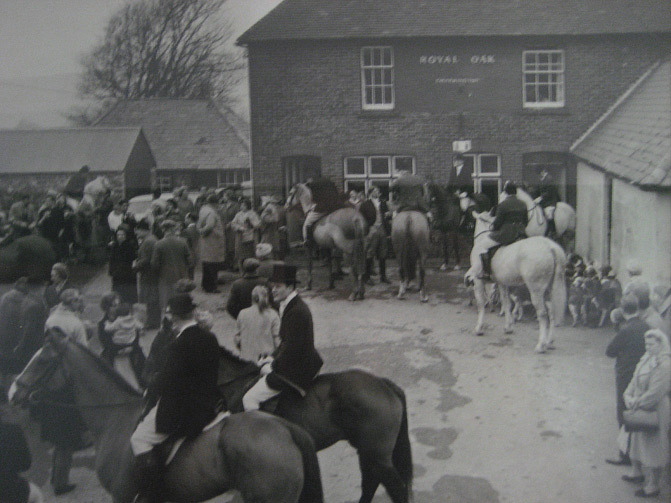 Until the 70s, The Sussex Ox was known as the Royal Oak.